mine are not nearly that fast but they are about 25Mb/s down and about 3Mb/s up. Even though it seems normal, I still can't use irc for downloading and sometimes DDL's don't work as good as expected. How much are people paying for what kind of download limit? As I said, it only looks good, but connection is not stable so sometimes during download I loose connection to server. 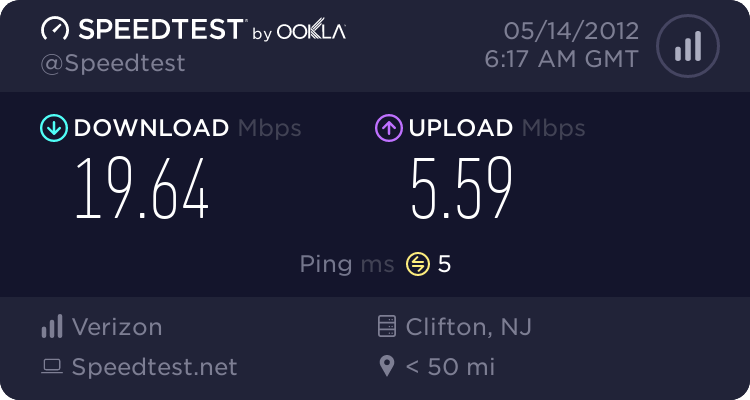 Also I don't think there is any download limit for my connection, I usually spend ~3TB for torrent (total transfer up+down) and still everything works just fine. I think mines decent 4MB/s DL and 1MB/s UL. To say i am on wireless and my PC is located upstairs. 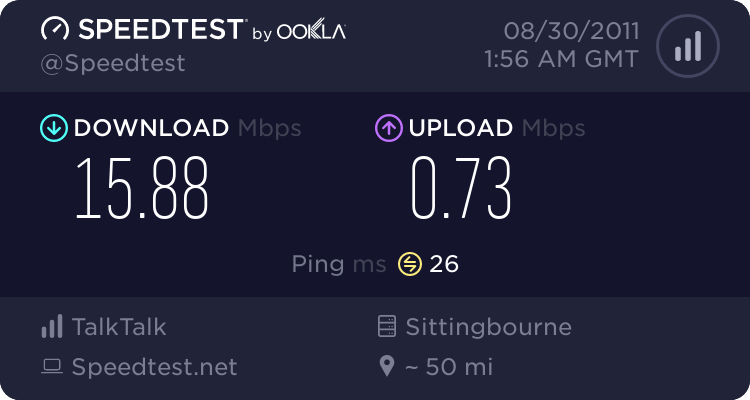 I don't know how much it is so as i live with my parents so my dad's paying for it, its also unlimited upload and download, and i love BT even more because unlike the rest of the ISP's they haven't blocked Pirate bay yet ¬_¬. 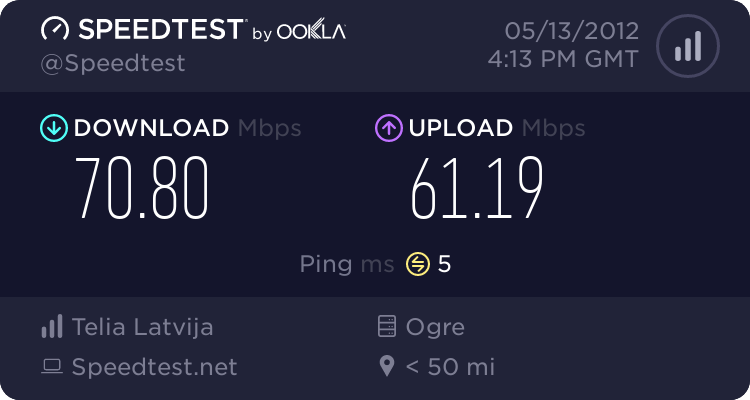 Also wanting my dad to upgrade to either 80 or 100 meg. Even told him id split the cost to upgrade with him. At least it is unlimited downloads. 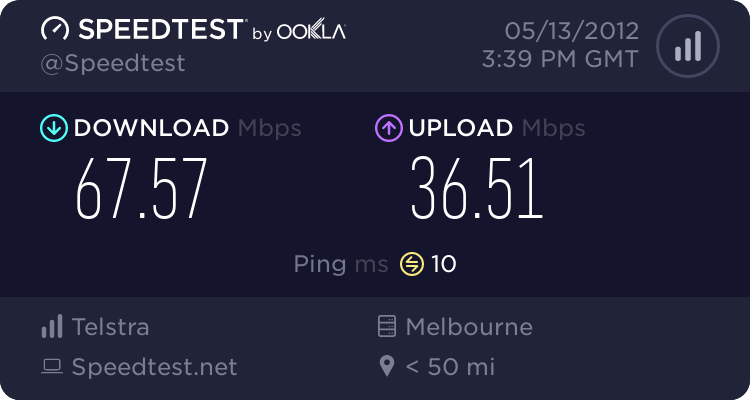 Soon will have my actual speed test up! My Internet speed at my house! Just like what Zach said there is multiple people using the internet all day. Not at all bad for a rural village in the UK. Amittedly, this is on LLU with TalkTalk, so it is about double the ADSL in the area. 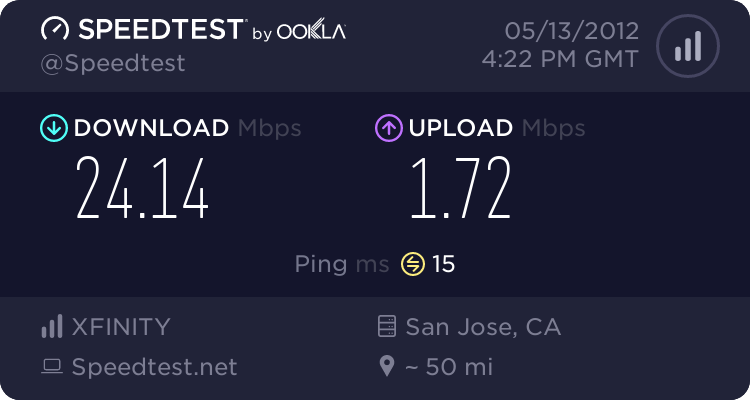 I wish my upload speed was faster. 20-40Mb/s is plenty fast enough for 20+ people to surf the web and as long as someone isnt downloading the internet at MAXIMUM SPEED others can still easily surf. you just got to throttle your downloads to ~80% max bandwidth. 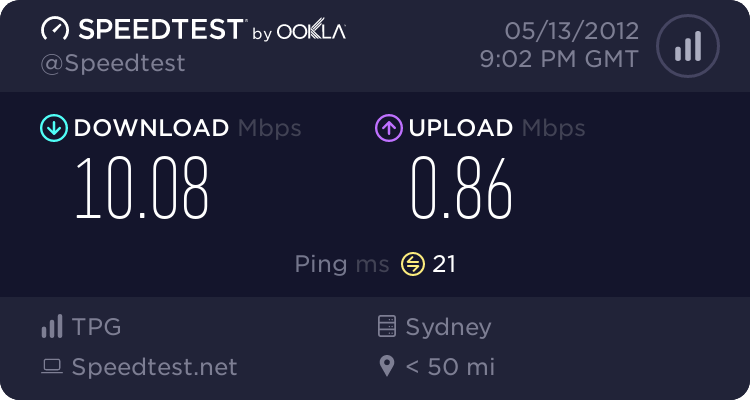 but i guess these are just my opinions as i personally think that 15Mb/s down and 1Mb/s up is plenty fast enough for me and 2 other guests on my network, anything more is bonus. Not when we get the private tracker going! I want to be able to seed on that thing as fast as the HDD can!! Pretty fast for me so far but I'd like to upgrade it soon to their Internet 40 mb/s. Currently on a bundle with my ISP for phone, tv, and internet. I get about 20 mb/s down but barely .9 mb/s up but the great thing is that no sites are blocked and no monthly cap. Mine is currently this, not to brag, but I've seen the upload go up to 10 mb/s. This is plenty for me, I mostly do downloads, and there are at most 3-4 computers connected at a time which is for web surfing (suckers, I hog all the bandwidth ), plus two or three ipods/iphones/ipad at times. 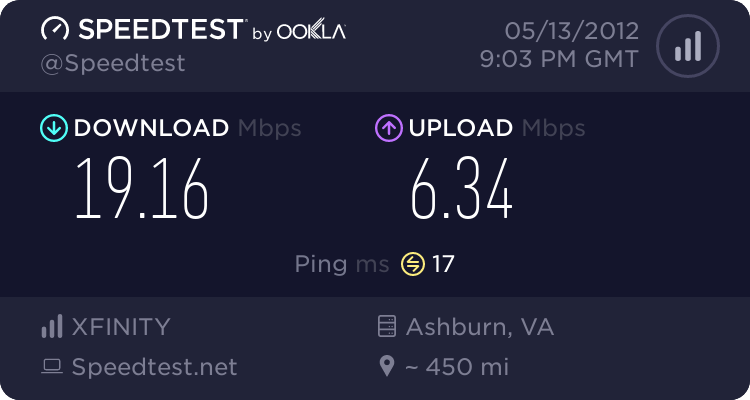 But my only complain is that the router they provided me limits the connections to 2 mb/s, whether it is wired (Ethernet) or wireless, but if more computers are connected I do not feel a slower connection as they also get 2 mb/s each. For all these, to me, very fast connections. How much do people pay, if they do not mind me inquiring? ~£15 Line Rental and ~£10 for interwebz. Completely unlimited traffic though.